07: What happens in the education institutes? 22: Sai Baba: How Does He Do it? ?? : Reply to Haraldsson - Satya Sai Baba is a fraud ! 21: Shall we rewrite scripture? 11: What can I say? 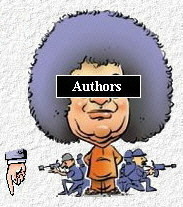 22: Comment on "An Open Letter To The Followers Of Sathya Sai Baba"
?? : What about Baba's powers? 03: Urgent Action Requested !!! 25: Hi Mister Wolf ! 26: Let's wake up our conscience! 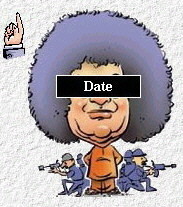 02: Sathya Sai Baba is NOT a friend to the world. 12: Letter from Dennis Hanisch about "A Friend In India To All The World"
24: Why has dharma and virtue decreased during SSB's reign?? 30: Religious sects in Italy: a serious damage for individual people and society. 25: Cancelled Sai National Conference 2003, Adelaide, South Australia. 05: Comments from Riccardo on "Swami Roberto, the new Italian Avatar"
31: Letter from Glen Meloy to editors of the New York Times. 01: The Name "Sathya Sai Baba"
Kovoor - Dr. Abraham T.
2: Letter from Dennis Hanisch about "A Friend In India To All The World"